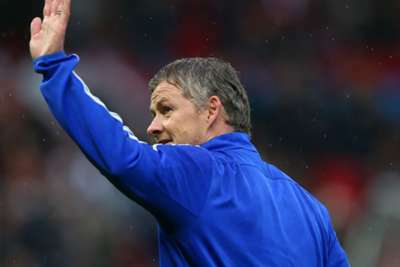 Norway's Prime Minister appeared to wish Ole Gunnar Solskjaer good luck amid mounting speculation he will be appointed interim manager at Manchester United. The 20-time English champions sacked Jose Mourinho on Tuesday, with their limp weekend loss at Liverpool a damaging blow too far in what has been a dispiriting season to date at Old Trafford. United announced they would appoint a caretaker until the end of the 2018-19 campaign while an extensive recruitment process to identify Mourinho's long-term successor is carried out. It increasingly looks like former United and Norway striker and current Molde boss Solskjaer has got the nod. Late on Tuesday, a now deleted video page on the club's official website, showing Solskjaer's winning goal in the 1999 Champions League final, appeared with the caption: "Solskjaer becomes our interim manager, 20 seasons after clinching the Treble with THAT goal at Camp Nou..."
And Norwegian premier Erna Solberg did not want to miss the opportunity to mark a momentous moment for football in her country. "Great day for Norwegian football. Good luck keeping control of the Red Devils," read a tweet from Solberg's verified account. Like the United video, that has now also been taken down. Alongside his defining moment in an unforgettable European final, Solskjaer scored 91 Premier League goals for United and supplied 37 assists – regularly starring in game-changing cameos from the bench. He began his coaching career with a three-year stint in charge of United's reserve team before winning twice winning the Eliteserien with Molde in his homeland, along with Norway's domestic cup competition. Those exploits granted him a route into the Premier League but Solskjaer was unable to perform a salvage job at Cardiff City, winning five of 25 games at the helm as the club were relegated in 2013-14. In a delightful quirk of fate, presuming United persuade Solskjaer to leave Molde for a third time after they signed him from the club in 1996, his first game in charge will be away at Cardiff on Saturday.